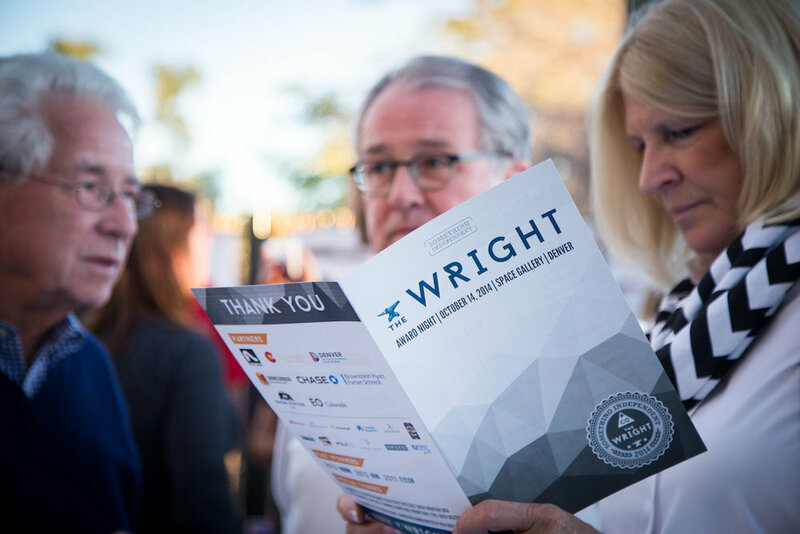 As small business owners, we were thrilled to work with Something Independent’s annual Wright Awards, which recognize entrepreneurial leaders in Colorado’s lifestyle sector. In addition to creating a new logo for the awards, we developed a comprehensive design strategy for all signage, printed programs, advertisements and social media marketing. The symbol of the anvil in the logo was chosen to convey the transformation of raw materials through craftsmanship. It was inspired by the creativity, determination and innovation of past and present Wright Awards recipients.